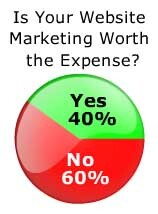 Dentist Survey Results: Do you think your internet dental practice marketing is worth it? In our most recent survey, we asked dentists if their dental practice website marketing is worth its expense. Of the dentists responding to this survey, less than half (40%) said yes: internet marketing generates new patients and a positive ROI. The remaining 60% replied that they don’t believe that internet marketing has particularly helped find new patients. Read the dentists’ comments for more insight into their thoughts on dental practice website marketing. 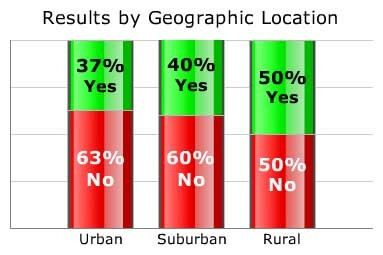 Geographical location was not highly correlated with results, but rural dentists were somewhat more likely to be happy with their internet marketing investment than their urban colleagues. 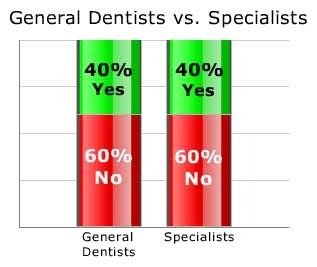 And for once, general dentists and specialists agree! But are internet patients the best leads?